VANCOUVER, Aug. 16, 2018 /CNW/ - Duchenne muscular dystrophy (DMD) is one of the most common congenital diseases in the world, affecting one in 3,500 Canadian males. DMD is caused by mutations in the dystrophin gene that results in progressive muscle degeneration and there are currently no effective treatments for DMD. 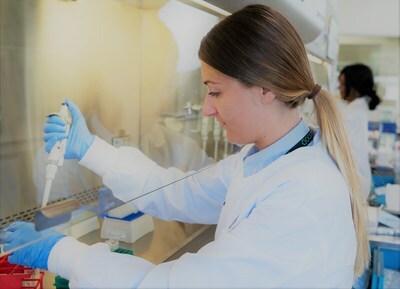 "It is immensely satisfying to see many years of investment in the basic science now being translated towards therapies for patients in need, and that this work will lead to economic benefits here in BC," commented Dr. Rossi, a professor in the Department of Medical Genetics and co-director of the Biomedical Research Centre. "As a spin-off built on research done at UBC's Michael Smith Laboratories, we are thrilled that AbCellera's success is propagating a virtuous circle of innovation," said Dr. Carl Hansen, CEO of AbCellera. 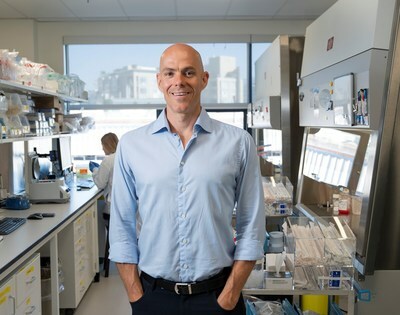 "We are now positioned to engage with UBC's outstanding researchers and enable the translation of basic science into new therapies for patients." "Effective treatments that prevent fibrosis would be life-changing for people living with DMD by slowing disease progression and improving quality of life," says Dr. Catalina Lopez-Correa, Chief Scientific Officer and Vice President, Sectors, at Genome BC. "We invest in projects that will make a difference in the lives of British Columbians and this type of therapy has the potential to make a significant impact." Find a complete list of news announcements on AbCellera's online news feed, on LinkedIn and on Twitter @AbCelleraBio.